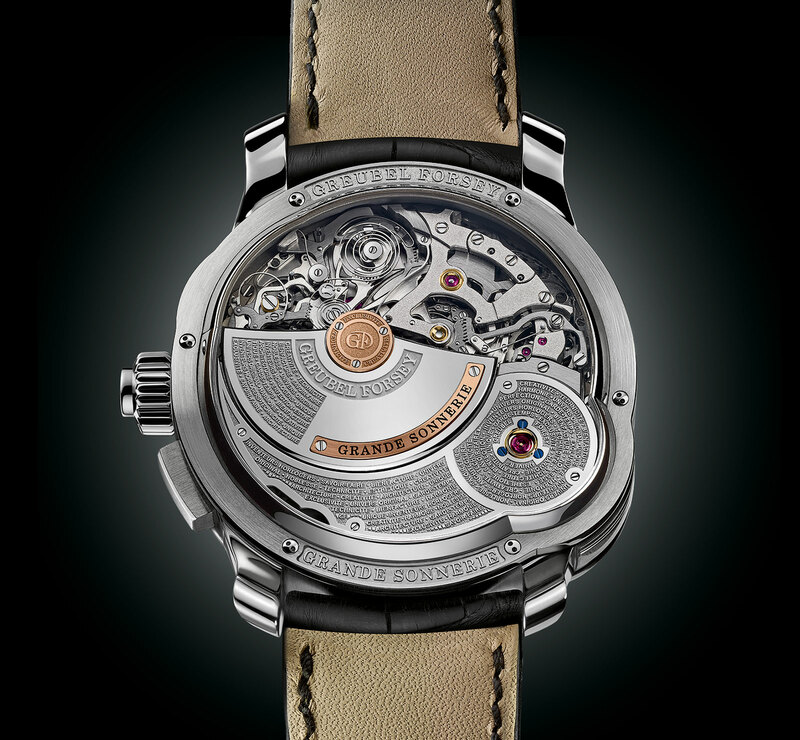 Only a handful of watchmakers or brands have ever accomplished a grande sonnerie wristwatch – Philippe Dufour, F.P. 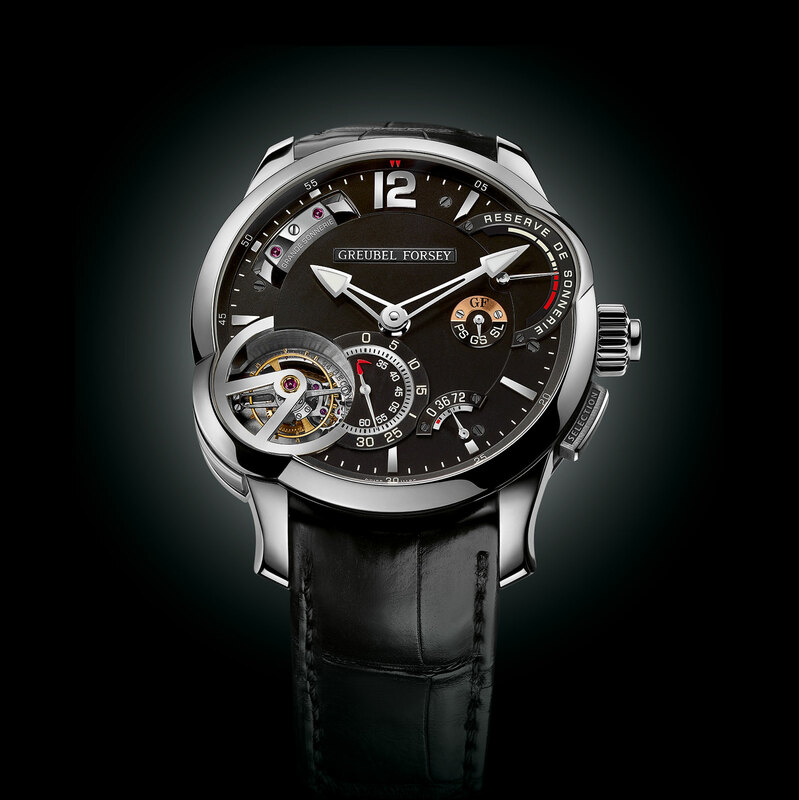 Journe, Patek Philippe and Gerald Genta amongst them – a league that is now joined by Greubel Forsey, which may possibly claim the title of complicated watch launched at SIHH 2017. A grande sonnerie is essentially a miniaturised version of a longcase grandfather clock that chimes the time en passant, as it passes with the quarters on the quarters and the hours on the hours. 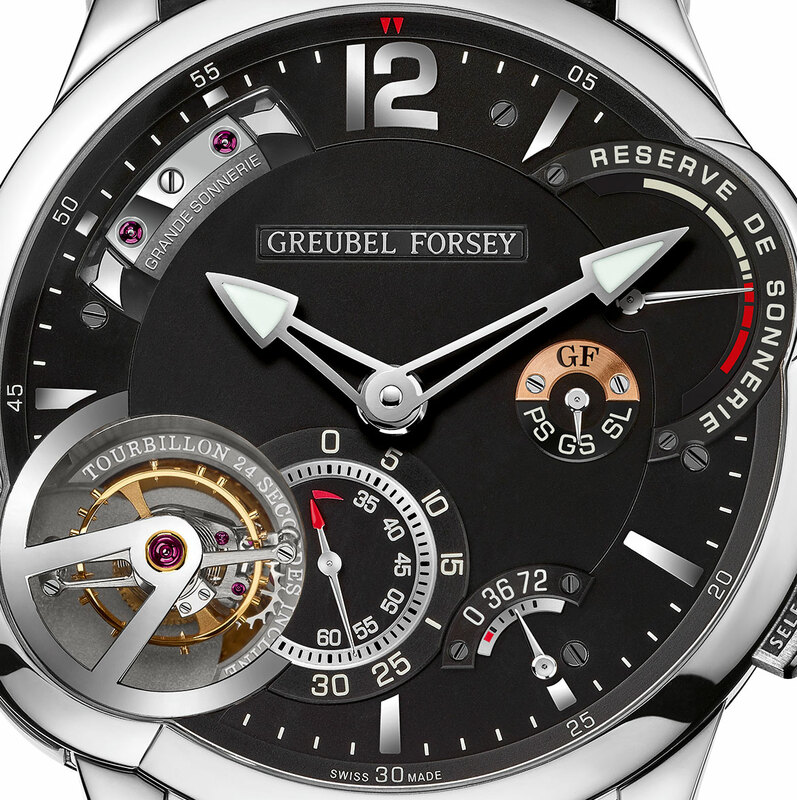 The Greubel Forsey Grande Sonnerie is a wristwatch boasting a grande et petit sonnerie and a Tourbillon 24 Secondes, as well as the unusual feature of an automatic winding mechanism for the sonnerie though the base movement itself is manually wound. Made up of 935 components, the movement will run for 72 hours on full wind. 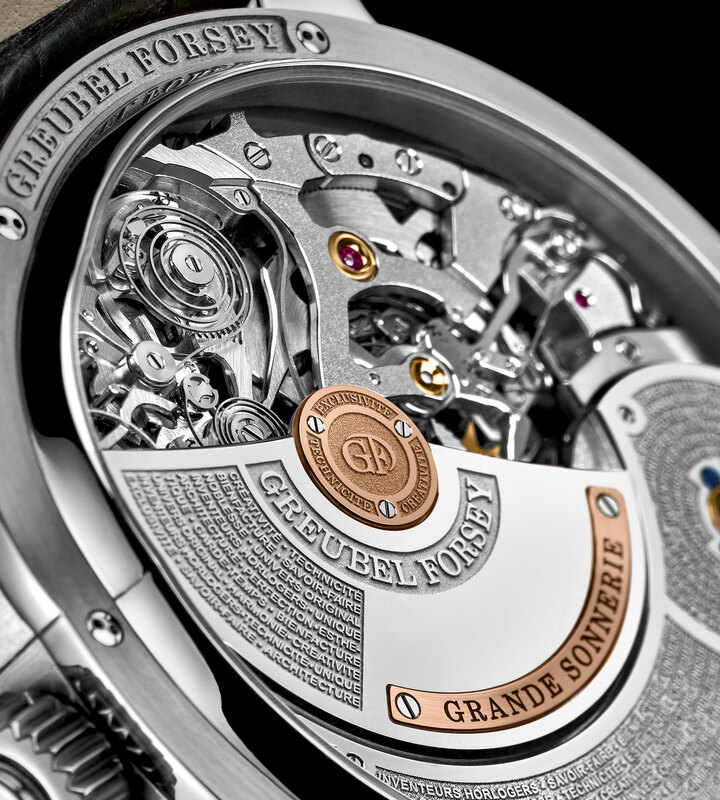 But the striking mechanism will last 20 hours on grand strike mode, where the sonnerie chimes every quarter. A button at four o’clock sets the strike mode of the watch: “GS” is short for grande sonnerie, “PS” means petit sonnerie with only the hours sounded, while “SL” is silent mode. Various safety mechanisms built into the movement prevent damage if anything is inadvertantly activated when it shouldn’t. For instance the time setting gearing is disengaged when striking in progress. Just besides the function indicator is the power reserve mechanism. And at eight o’clock is an aperture revealing the Tourbillon 24 Secondes. Rotating at a rapid pace of 24 seconds for a complete revolution, the cage is inclined at 25 degrees, both features that are intended to maximise its effectiveness at eliminating the timekeeping errors caused by gravity while the watch is on the wrist. The Grande Sonnerie is priced at SFr1.15m before taxes, equivalent to US$1.13m. Only three to five will be made each year.